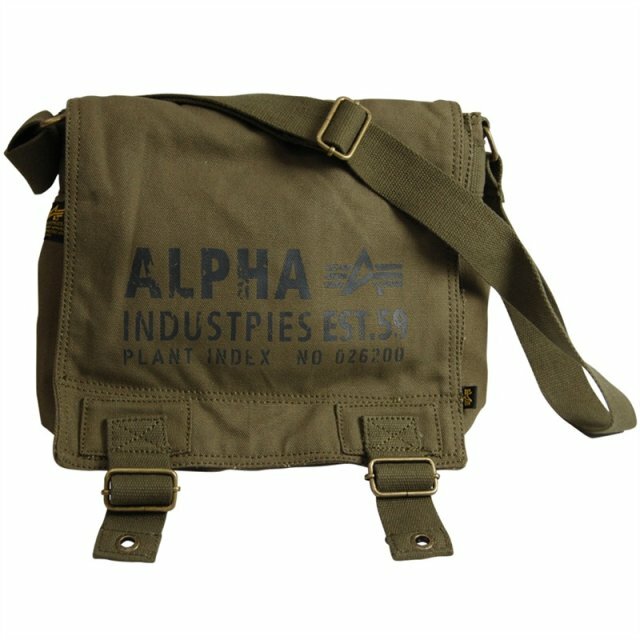 This utility carrying bag for over the shoulder wear is finished in Alpha's offset dark Olive Oxford nylon canvas with the army style logo in Black. With Velcro . With adjustable shoulder strap . Logo print . Several front compartments . Size: 27cm x Height 27cm. Material: 100% Oxford Nylon.